February 27, 2013  Most Americans are earning more money than their parents, according to a new study from Pew's Economic Mobility Project. But that doesn't tell the whole picture: It often takes two incomes to surpass the one salary that was enough for the younger generation's parents. Too Soon To Blame Payroll Tax For Stagnant Retail Sales? 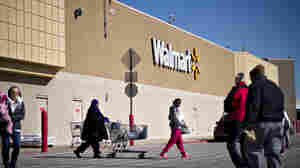 February 25, 2013  Several big retailers say the return of the full payroll tax is causing consumers to curtail spending, but so far the evidence is mostly anecdotal. Some analysts argue a variety of factors, and not any specific policy, contributed to slower growth in consumer spending in January. What's The Sequester? And How Did We Get Here? February 22, 2013  They've been everywhere this week: dire warnings about threats posed by across-the-board federal spending cuts. But what's the real story? Here are the answers to four burning questions about the cuts known as "the sequester." 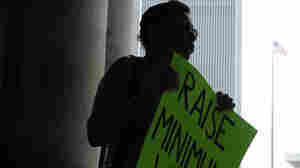 Could Minimum Wage Increase Boom Or Bust Economy? February 22, 2013  President Obama's plan to jump-start the economy starts with increasing the minimum wage and avoiding sequestration. Host Michel Martin talks about those challenges and others, like rising gas prices and expanding waist lines. She's joined by NPR's senior business editor Marilyn Geewax and Wall Street Journal economics reporter Sudeep Reddy. February 19, 2013  Every month, the government sends out about 5 million paper checks to Americans who receive federal benefits. 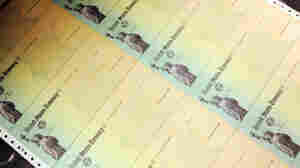 As of March 1, however, the Treasury Department is planning to make those checks a thing of the past. It's encouraging holdouts to move to direct deposit or a debit card. February 18, 2013  If you usually wait until April to file your taxes, you might want to hurry up — before identity thieves beat you to it. Using stolen names and Social Security numbers, these criminals file fake tax returns. This generates big, and fraudulent, refunds, before the real taxpayer gets around to filing. February 15, 2013  Gov. 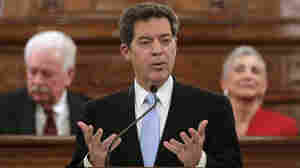 Sam Brownback plans to get rid of Kansas' income tax and cut the size of state government. Some lawmakers say it's a great experiment that will show that lower tax rates and streamlined bureaucracy can stimulate growth; others are concerned about overreaching. 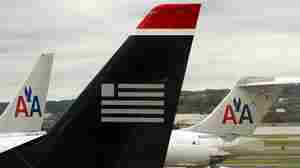 February 14, 2013  A combined company worth $11 billion would become the largest U.S. airline. By creating a robust route structure with hundreds of destinations on four continents, the two carriers may be able to attract more frequent fliers, improve service and boost revenues. But what will happen to fares is uncertain. February 13, 2013  President Obama is urging Congress to boost the federal minimum wage to $9 an hour. But other workers who make more than the minimum, currently at $7.25 an hour, could see their pay go up too as employers adjust their pay scales. Can Social Security Make The Leap To E-Banking? February 13, 2013  Beginning March 1st, many people who receive social security and other federal benefits will no longer receive paper checks. 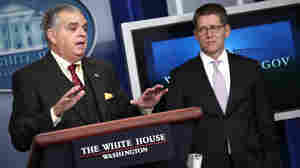 The Treasury Department says sending payments electronically will save nearly a billion dollars. But some experts say it could affect the "un-banked." Host Michel Martin talks with The Wall Street Journal's Sudeep Reddy. February 12, 2013  Women are paid less than men, even when they're doing the same jobs. Here's where the wage gap is smallest — and largest. Ask A Banker: Stock Tips! February 11, 2013  Does anyone make anything that beats a low-cost index fund? There are at least two short answers to this, which are (1) Don't ask me, and (2) No. February 6, 2013  Valentine's Day is around the corner. Maybe you're eyeing chocolate, roses or something sparkly for your sweetheart? Mark Di Vincenzo cautions you to think about your timing. The author of Buy Shoes on Wednesday and Tweet at 4:00, says increased demand makes February one of the worst times to buy traditional gifts. 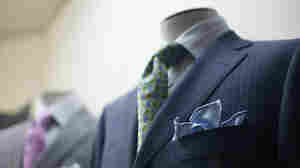 February 6, 2013  The economy may be on the rebound, but life is getting tougher for some people in the middle class. 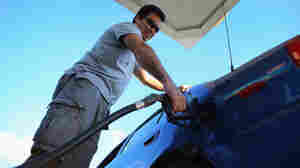 With rising gas prices, insurance costs, and higher payroll taxes, people are feeling squeezed. Host Michel Martin asks if there's any financial relief in sight. February 6, 2013  They're getting hit with a double whammy: a spike in gas prices and smaller paychecks because a payroll tax break expired. That combination could dampen consumer spending, economists say.